Τοποθετημένο στην καρδιά της Λούμουτ, το Daddys Inn Lumut είναι το ιδανικό σημείο από όπου μπορείτε να ανακαλύψετε τη Πάνγκορ. Από εδώ, οι επισκέπτες μπορούν να έχουν άμεση πρόσβαση σε όλα όσα η πόλη έχει να προσφέρει. Με την βολική του τοποθεσία, το ξενοδοχείο προσφέρει εύκολη πρόσβαση στους προορισμούς της πόλης που πρέπει οπωσδήποτε να δείτε. Επωφεληθείτε από ένα πλήθος ασυναγώνιστων υπηρεσιών και ανέσεων σε αυτό το ξενοδοχείο της Πάνγκορ. Τα δωρεάν WiFi σε όλα τα δωμάτια, 24ωρη φύλαξη, ημερήσιος καθαρισμός, 24ωρη ρεσεψιόν, ασύρματη σύνδεση Wi-Fi σε δημόσιους χώρους είναι μόνο λίγες από τις εγκαταστάσεις που κάνουν το Daddys Inn Lumut να ξεχωρίζει από τα άλλα ξενοδοχεία στην πόλη. Επιπλέον, όλα τα δωμάτια διαθέτουν ποικιλία ανέσεων. Πολλά από αυτά παρέχουν ακόμη και επίπεδη τηλεόραση, λευκά είδη, καθρέφτης, πετσέτες, ασύρματη σύνδεση internet (δωρεάν) προκειμένου να ευχαριστήσουν ακόμα και τον πιο απαιτητικό επισκέπτη. Εξάλλου, το ξενοδοχείο διοργανώνει πολλά ψυχαγωγικά δρώμενα έτσι ώστε να έχετε πολλά πράγματα να κάνετε κατά τη διαμονή σας. 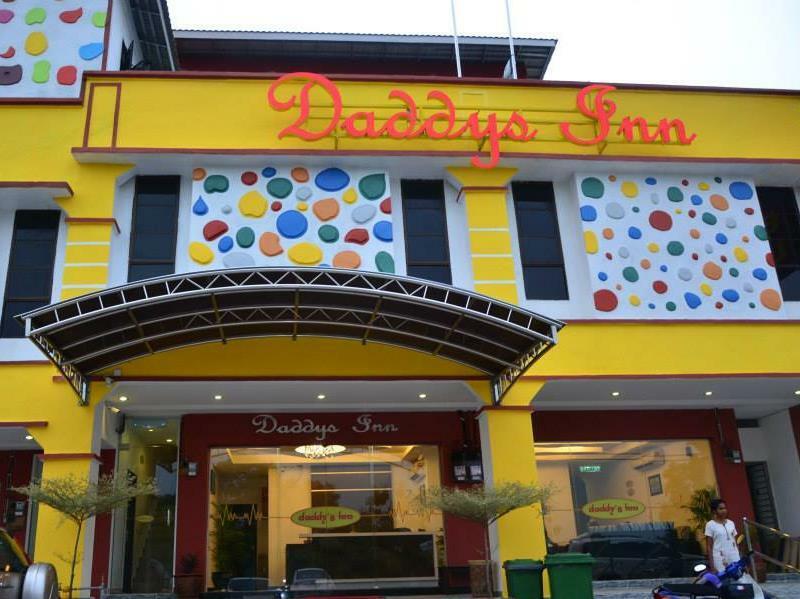 Το Daddys Inn Lumut είναι ο ένας και μοναδικός προορισμός για εσάς που ψάχνετε ποιοτικά καταλύματα στη Πάνγκορ. Its nice to stay here. The room above my expectation. Value for money. I definitely will stay here if i went to lumut again. However, suggest to bring your own wire extension if you want to charge your phone near to the bed. Hotel was nice overall. Room was given on 2nd floor. Room was huge and spacious. Easy excess to restaurants and other places. When we checked in, the sheets was dirty. Sincere we were tired, we just ignored. 2nd day told Front Desk to make up change new sheets; the same sheets was re used back. No coffee tea facilities. Only 3in1 coffee, Milo available; and you have to pay RM1.50 for each packet. Overall was a nice stay. Front Desk Staff Mr. Mizi was very friendly and smiling face. Staff check in guest and check out guest while sitting which I feel like disrespect. I'm a hotelier too working in KL hotel. At least should stand up while giving / receiving the room keys from guest, wish and smile; need more improvement on customer service. Management have to improve the cleanliness of the hotel. Front desk person so cute and very heplful. Beds are comfy, staff are always with a smile. Worth da money.. friendly receptionist, spacious room, lots of parking, easy to get restaurant.. n theres one 'kakak' stall nearby who sell good tasty soft kropok lekor (at the corner of hotel area road).. I love the hotel design in room, lobby, bathroom. Suitable for family. Many furniture in a room but no floor mat when going out from bathroom. Wifi is very slow. I hope they add ironing facilities and coffee mix. The place is very nice, quite and a lot of parking scape. The room is very clean and i like it. Its only took 5 minutes to Lumut waterfront where you can take ferry to go Pangkor. DO NOT ASPECT HIGH WHEN YOU HAVE TO PAY LESS. EVERYTHING IS JUST FINE WITH THIS HOTEL.ROOM IS BIG.JUST NO WINDOW.BUT NO ISSUE ON THAT BECAUSE THE ROOM PRICE IS SO CHEAP. Was looking for a getaway for a couple of days and needed a base from which to explore nearby Sitiawan. Opted for Lumut for the simple reason I've never stayed there. Found a great offer on Agoda and made a booking for one night and eventually added a second night. The hotel is not actually in town: it's about 1.5 km away which is nothing by car. In a row of 2 or 3 other hotels, more conveniently, there's a restaurant next door which also does the room service, as well as a new pub next to that. I tried the food at the restaurant and finding it very appetising indeed, proceeded to have two more meals there. The pub at the corner is a new addition and although quite empty of patrons is comfy. Large screen TVs, a pool table and you can have your meals here too if you like. The hotel itself looks much newer than its two and a half years. I honestly thought it was brand new, hence there only being one review on Agoda. Turns out they just joined Agoda. The room is spacious enough and well appointed enough. Complimentary water, a hairdryer, TV, free wifi complete a package that is very good value. What I liked best though was the staff - always quite friendly and approachable. Quick with a greeting and to offer help and suggestions. 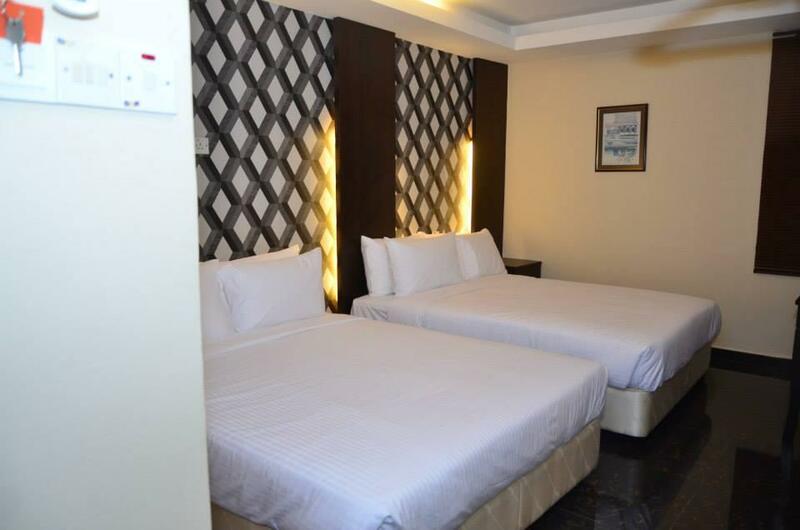 If you're looking for a place to stay in Lumut, and don't mind being away from the town centre, I would recommend Daddys Inn without hesitation. Oh, and the food next door too. A bloody worth the money hotel. Very friendly staffs and very thoughtful. They have a cafe in Pangkor Teluk Nipah. U should go there. And they have room service also. That is just way to cool for a budget hotel. Location surrounding area was a bit deserted. Family Room rather small for that price. Toilet bowl is stained and hotel is just three years old when I asked. One of the staff was helpful, he attended to my request of checking the TV fast. The other staff was just disappointing talking to her. overall ok, my opinion is you need to upgrade shower to updated version, soundproof ok, air-cond ok, parking ok, hope u put another pipe for muslims easy to take wudu', staff ok, surrounding ok, need to put 3 in 1 sachets, need to put floor mat at bathroom door to prevent accidents. The room is spacious enough. Plus, the location is quite strategic as it is located about 5mins away from jetty lumut. Which is perfect for us! Only that, I hope they add on some basic room needs such as 3 in 1 coffee mixes and ironing facilities.